Planning a trip? Heading to Grandmas for the Holidays? Escaping the bitter cold for warm sands? Regardless of the mode of transportation or destination, one thing remains the same, the kids are coming and you need to prepare. 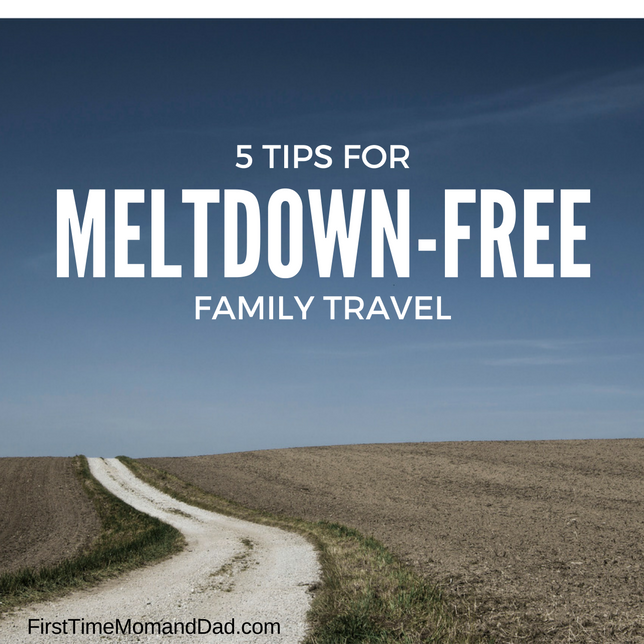 Below are five of my best tips for meltdown free family travel. 1. Pack Light. With so many gadgets, toys, clothes, blankets, bedtime bears and favorite pillows to consider for the trip, it's easy to over pack. Very. Easy. Combat the need to over pack by making an "essentials" list for each family member. Give the little one a small bag to pack their favorite things. Remind yourself and fellow travelers, you're not leaving for good, it's a week! Road Trip Tip: Clean and check the headlights and taillights. While giving the exterior some love, double check tires' air pressure and tread and look for nails or debris that could be potentially dangerous. You may want to invest in an air freshener too! 2. Snack Attack. Whether it's a hungry kid or a chatty Aunt Cathy, snacks will come in very handy. 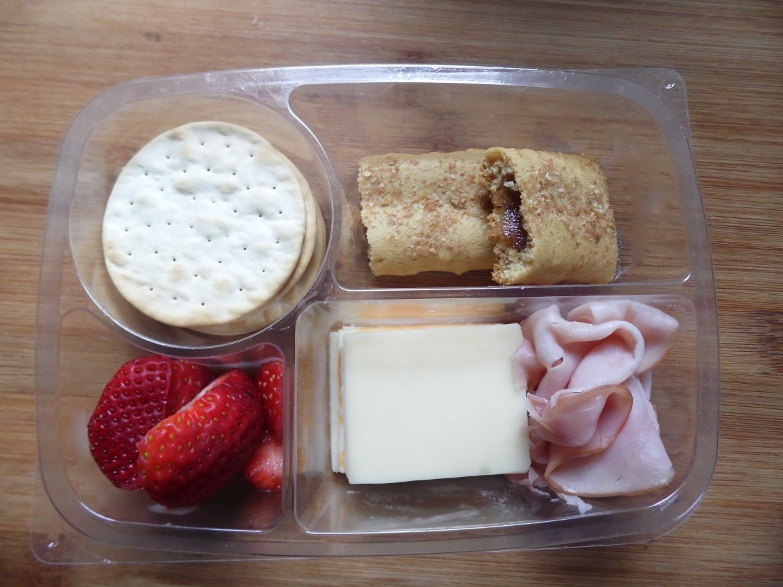 Skip the traditional sandwiches for bento box lunches to keep kids busy. Road trip snack TIP: Freeze small bottles of water and use them in the cooler instead of ice. The frozen bottles will keep things cool and the cooler free from filling with melted ice water that sloshes back and forth with every turn. 3. Floors Are For Feet Only. Let's face it, the floors can be valuable real estate when traveling, but not so great for the person losing the foot space. Free up foot space by hanging bags on the back seat. 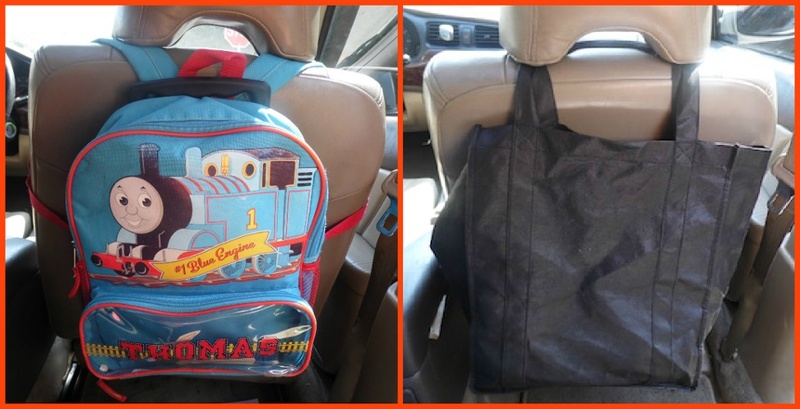 Backpacks fit nicely over the 'shoulders' of the seat or secured by the headrest. 4. Check Your Tech. Before embarking on any trip, check your tech; make sure all phone, tablet and laptop batteries are fully charged, with all accessories safely and conveniently packed away for emergency charging.When it comes to a crying kid over a dying tablet, the last thing you'll want to do is search four bags to find it. Keep all tech together for easy access. 5. Baby Wipes Work Wonders On Trips. Whether you're traveling with a child or not, invest in a pack of baby wipes. The pre-moistened wipes clean messy faces and surfaces in a pinch, and without stinky harsh chemicals. Not to mention, those little wipes will be a lifesaver at the grimy roadside or airport bathrooms that haven't seen an attendant in at least a decade. If you have a family road trip tip please share in the comments below!